The ICJ today called on the Tunisian authorities to build on the advances made in the January 2014 Constitution by introducing legal and policy reforms to ensure the Tunisian judiciary is fully independent and accountable and is able to uphold human rights and the rule of law. These reforms should be a priority of the new Parliament and should be carried out in consultation with the judiciary and civil society. The Constitution provides that a new Parliament is to be elected before the end of 2014. In this report, the ICJ examines the past and present Constitution, laws, institutions and practices governing the independence of the judiciary in Tunisia and analyses them in light of international and regional standards. Despite the foundation laid down by the 2014 Constitution for significant reforms, much more needs to be done. Eerder deze maand berichtte RR u al over de Tunesische rechter Kalthoum Kennou. 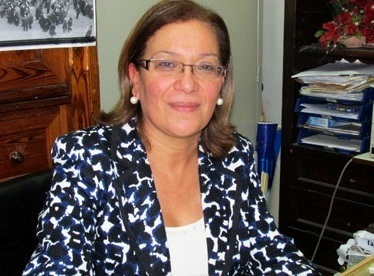 Mevrouw Kennou, juge â la Cour de Cassation, en Présidente de l’Association des Magistrats Tunisiens, had serieuze doodsbedreigingen ontvangen met de eis dat zij haar ambt zou neerleggen. RR heeft deze situatie via een brief aangekaart bij de Tunesische Minister van Binnenlandse Zaken. RR verzocht de Tunesische autoriteiten om de benodigde maatregelen te nemen om de veiligheid van Mw Kennou en haar familie te waarborgen, en te garanderen dat zij haar functie in veiligheid kan uitoefenen. Today, the ICJ sent a letter to the Tunisian Minister of Interior and the Minister of Justice requesting them to take immediate action in order to ensure the security and physical integrity of Justice Kalthoum Kennou. Justice Kalthoum Kennou is a Tunisian judge on the Court of Cassation, President of the Tunisian Association of Magistrates, and ICJ Commissioner. This call comes as Justice Kennou received a letter containing serious death threats, demanding her withdrawal from the judiciary. Justice Kennou is active in the establishment of an independent judiciary and the protection of human rights. Donderdag 14 maart aanstaande is de Tunesische advocate Radhia Nasraoui, laureaat van de Geuzenpenning 2013, te gast in het Verzetsmuseum Amsterdam. Radhia Nasraoui is mensenrechtenadvocate en komt, ongeacht hun achtergrond, sinds decennia op voor politiek gedetineerden. Zij richtte in 2003 een organisatie tegen martelingen in Tunesië op. Nasroui is eregast bij een debatprogramma dat het Verzetsmuseum Amsterdam en Amnesty International Nederland naar aanleiding van de Geuzenpenning 2013 organiseren rond Transitional Justice in Tunesië en het proces van waarheidsvinding en gerechtigheid. Transitional justice is het herstel van recht na een periode van dictatuur of oorlog. Transitional justice behelst maatregelen aangaande waarheidsvinding; initiatieven voor gerechtigheid, berechting, herstel en compensatie; en het creëren van een betrouwbare en wettige basis waarop het land verder kan. De bijeenkomst op 14 maart in het Verzetsmuseum start om 14.00 uur en is Engelstalig. Op 13 maart krijgt Nasraoui in Vlaardingen de Geuzenpenning 2013 uitgereikt. In a new report, the ICJ calls on the authorities, especially the National Constituent Assembly, to elaborate and adopt a constitution that takes account of the full range of views of the Tunisian people and adheres to international law and standards. Released today, the report, Enhancing the Rule of Law and guaranteeing human rights in the Constitution, comes as the ICJ concludes a high-level mission to Tunisia. It analyzes the constitutional reform process in Tunisia and sets out recommendations for legal and institutional reforms aimed to ensure a Constitution that reflects international law and standards. Through its report, the ICJ calls for the Constitution to be amended to: fully guarantee the separation of powers; ensure the accountability of the security services and armed forces and their subordination to a civilian authority; bring the judicial system in line with international standards of independence, impartiality and accountability; end the use of military courts to try civilians and cases involving human rights violations; incorporate a comprehensive Bill of Rights; recognize the right to life as an absolute right, and abolish the death penalty; and provide effective mechanisms for the protection of human rights and ensuring the right to a remedy.